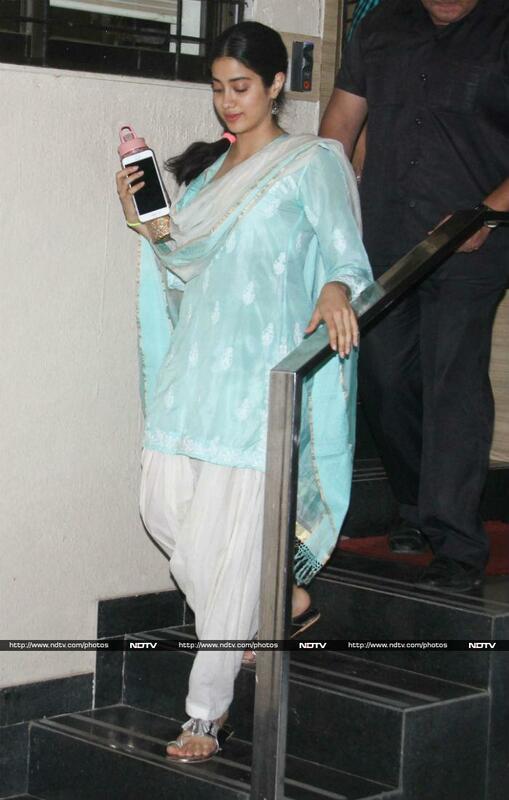 Janhvi Kapoor, who is all set to make her Bollywood debut with Dhadak, looked pretty in a traditional mint-coloured outfit. Manisha Koirala was all smiles during Sanju promotions. 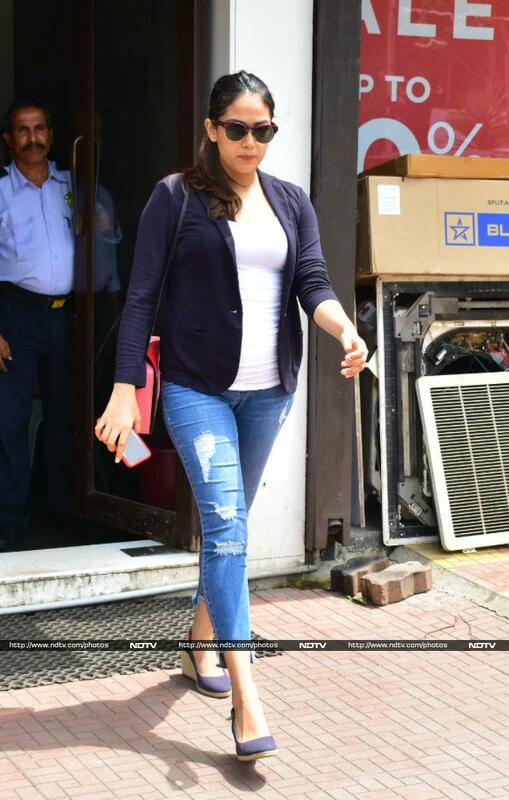 Mira Kapoor, who is expecting a second child, totally aced the mauve jacket and rugged denims. We loved the matching shoes. Meanwhile, we also spotted Ranbir Kapoor at a promotional event in Mumbai, ahead of his film Sanju's release. Ranbir Kapoor posed with Sanju director Rajkumar Hirani. In a totally different part of the city, we spotted Kriti Sanon. Kriti looked sharp in an olive shirt and track pants. Lust Stories actress Kiara Advani looked cute as a button in the white attire. Soorma actors Diljit Dosanjh and Angad Bedi were photographed with television actor Ravi Dubey on the sets of a TV game show. We also got a glimpse of Varun Dhawan. We also spotted Saif Ali Khan's son Ibrahim Ali Khan in Mumbai.